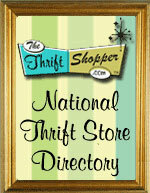 ThriftStoreWebsites.Com has many custom features and options for you to choose from. Whether you want to add some Flash Graphics to spice up your thrift store website a bit, or maybe you have the perfect vision for a custom website and need us to bring it to life. We can help you! We can do things as simple as a company logo or an Advertising Banner, to a complete overhaul of your website with all the bells and whistles, or even Duplicating your existing website. Whatever you need to make your business succeed, we probably have a solution for you. Our standard fee of $50.00/hour will apply to all custom work that is not done as part of the 2 hour FREE custom work. Click on one of the services below to learn more about it.